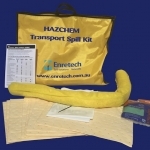 The new range of Portable Vehicle Spill Kit is effective on a wide variety of spills. 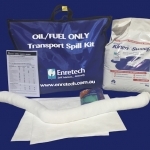 The 3 new Portable Vehicle Spill Kits are effective on fuels, oils, hydraulic fluids or any other hydrocarbons, depending on which product you select. They are primarily used for spills or leaks that occur in a transport environment. Each kit contains a selection of highly absorbent and powerful products, and is packaged in a 55cm x 67cm bag to make it easy to store and transport in your vehicle. 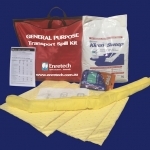 The range of Portable Vehicle Spill Kits are designed to be easily transported and stored, so that individuals operating vehicles can stay prepared for when spills occur. 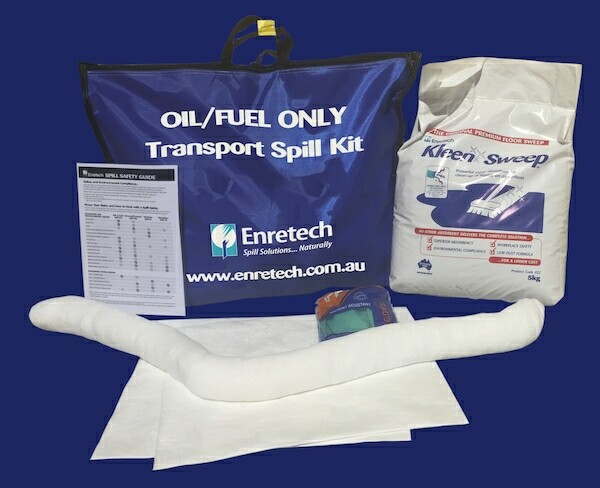 The portable vehicle spill kit contains and cleans up liquid spills involving oil, fuels and chemicals, while being compact enough to transport in its 55cm x 67cm bag. Highly absorbent — the small kit absorbs up to 100L of oil. Comprehensive solution — a combination of pads and powdered absorbents (KleenSweep) results in a quick and complete clean-up, with no remaining residue.